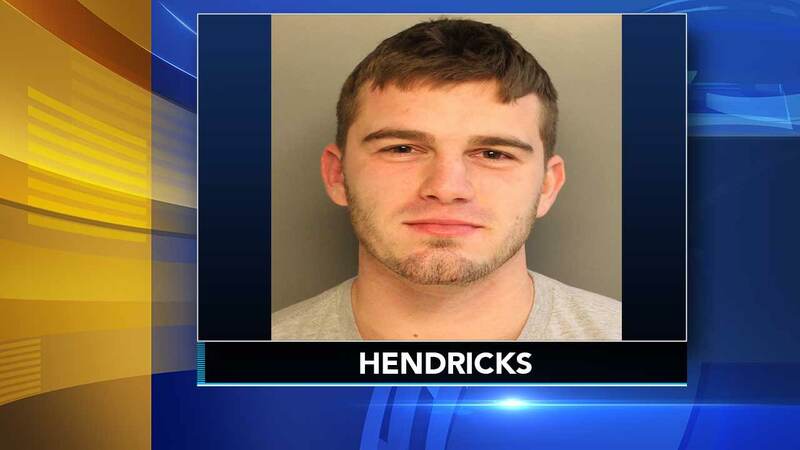 SOUTH PHILADELPHIA (WPVI) -- A Whitehall Township man is charged with punching a Philadelphia Police horse over the weekend. The alleged incident happened during Saturday's Eagles game. Police said 22-year-old Taylor Hendricks was ejected from the game and while he was leaving he punched a police horse on the 1100 block of Pattison Avenue. Police said Hendricks was charged in connection with an assault on a police horse.